The partnership will see the emoji company provide its emoji brand assets used throughout the next season which will be airing in early 2019. 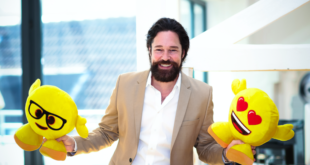 The new deal means that Emoji now boasts 33 active licensees here in the UK - all of which have been secured by Bravado, the UK and Nordic agent for the brand. The brand is strengthening its global retail sales with partnerships with Tescos, Chessington and a swathe of new deals in Australia and New Zealand. 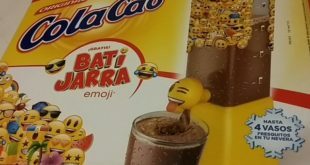 The leading cocoa powder manufacturer has developed a promo campaign for summer, giving away a premium called Batijarra, featuring emoji icons. 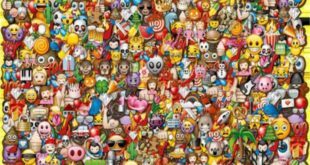 In a deal brokered by the licensing agent, Emoji is providing ITV with access to a catalogue of 14,000 protected icons with copyright assurances for use in the TV show’s text messaging communications. Kids and adults will now be able to collect the most popular Emoji plushes, including a selection of the best-love yellow-faced icons as well as the ever-popular Poo. The deal will bring the iconic Emoji icon in shaped 33cl Nestle Aquarel and Pure Life bottles which will be released in different European territories and Canada during 2018. “Our new partnership with Bulls Licensing will guarantee a wide coverage for our brand throughout the Nordics,” said Marco Husges, CEO of the emoji company.